Google made a big change this month in how it displays ads on its search results pages (SERPs). They will no longer serve text ads on the right side of the organic results, a location where there used to be as many as 9 text ads before. Instead of showing up to 11 ads on a page, there is now only room for 7 ads. While this is a 36% decrease in the number of ads that can show, I think this will result in 18% more clicks for advertisers without changing anything to their accounts. While the removal of ads may sound like a negative, I think this is a big win for Google and for advertisers. Let me explain why. Google is known for keeping products in beta for a long time but this one may have been the longest of them all. While Search Engine Land reports this experiment has been going on since 2011, the original work that led up to this monthâ€™s big change started well before that. I was on the Google team originally working on this back in 2008 when we added newad slots below the search results in Australia and Japan. Our goal was to test if bottom ads could be launched in larger markets as well. The reason we didnâ€™t launch back then is that we werenâ€™t considering turning off the ads on the right side but were merely going to add new slots at the bottom. Because we knew that bottom ads had better CTRs than those on the right, we thought it would be logical to award those slots to ads with better ad ranks. The highest ranked ads would continue to show above the organic results, the next highest ranked ones would get the bottom slots, and the lowest ranked ones would fill out the right side. That proposal drew fire from advertisers who were more interested in seeing their ads above-the-fold than getting more clicks. It was a situation where the numbers clearly made a case for continuing with bottom ads but we could not convince the advertiser-base at the time that this was the right thing to do. Then a few years later, Google started experimenting with 4 ads above the results with mortgage ads in 2010 and in 2011 they started serving ads below the search results in cases where they didnâ€™t show ads on the right. These experiments have now culminated in the permanent removal of right side ads in favor of new ads below the organic results. Remember that Google told us last year that the majority of queries happen on mobile in the US and 8 other countries and these devices have always had the ad layout weâ€™re now getting on desktops. The layout of a mobile SERP has never had ads on the right side, and has instead shown ads above and below the organic results. Now the layout of ads on desktops and laptops looks more like what weâ€™re already used to on mobile devices. The number of searches on desktops has been declining for some time whereas mobile search volume has been growing. The overall number of queries on desktops is decreasing. Fighting for RHS ads was no longer a viable long-term strategy since those slots were part of a shrinking market. Competing aggressively for top positions on the other hand is a great long-term strategy because it goes after the most important ad positions for a growing segment of all searches. Now that mobile and desktop layouts look very similar, all advertisers will basically compete for the same positions. This reduces some of the complexities that advertisers had to deal with because one ad position meant different things depending on the device. Ads that show above the search results outperform ads on the right side in terms of CTR. Optmyzrâ€™s data shows that ads shown at the top easily get 10 times the CTR of the same ads shown on the right side. This is consistent with recent reports from iProspect that their clients get 14 times better CTRs in top positions than on the right. Letâ€™s take iProspectâ€™s numbers to calculate how this change might impact the number of clicks available in AdWords, assuming all else remains the same. But remember they are adding one new ad at the top, that one may also get 14 times the clicks of a RHS ad. So with this change Google may have very well gone from 50*x clicks to 59*x clicks, an increase of 18%. Advertisers should rejoice that there are now 18% more clicks to be gotten without doing a single thing. Back in 2011 Google said â€œOn average, this [bottom ad] placement performed better than side ads in terms of click-through rate in our tests.â€ I suspect a large part of the reason is that the average user treats ads shown inline with organic results as another organic result and any decrease in CTR due to an aversion to advertising goes away. Let me be crass. While it is true that advertisers who used to occupy positions 8 through 11 may start to bid more aggressively, letâ€™s remember they were bidding for a tiny fraction of the available clicks and the only reason for this behavior is that they didnâ€™t care or couldnâ€™t afford to bid more. These advertisers will need to fix the issues that prevented them from being more competitive in the ad auction in the past, whether it was a poor conversion rate, lower margins than their competitors or something else. They canâ€™t afford to bid more so they wonâ€™t apply new pressure on the auction that would cause CPCs to increase. Hence if the CTR goes up because of the new location where the ad is shown, the required CPC to maintain the same position will decrease. Hopefully Google doesnâ€™t tune their formula to immediately remove the CPC discount from the new higher CTRs. Companies with high organic rankings will see those listings get pushed further down the page, often below the fold. Organic advertisers are the losers with this change. Advertisers whose ads have been relegated to page 2 of the results wonâ€™t simply make up lost volume with more clicks from the second page of results. 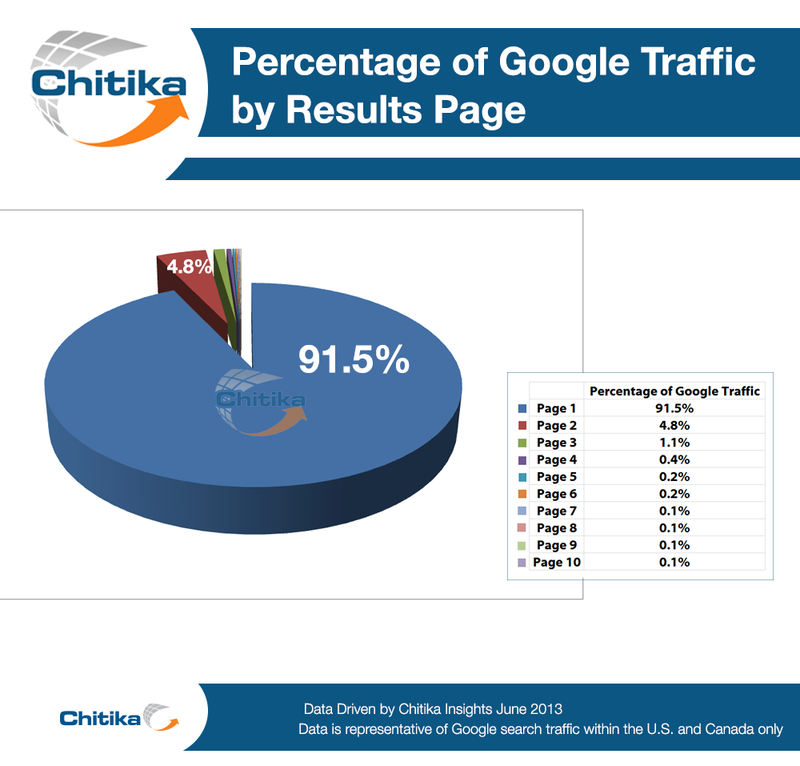 A 2013 study shows that page 2 represents less than 5% of all traffic, and page 3 gets only about 1.1%. Very little traffic comes from any page after the first page of Google search results. Furthermore, ads relegated to the second page wonâ€™t get the top ad positions on page 2. Those premium slots remain reserved for ads that are known to be better so Google will just repeat ads from page 1 at the top of page 2. One fear is that ads at the bottom of the page may not convert as well as RHS ads. While this study is now quite old and didnâ€™t account specifically for bottom ads, Googleâ€™s Chief Economist, Hal Varian, said that there is less than 5% variance in conversion rate for the same ad when it is shown in different locations on the SERP. Maybe they can update that study but this is the most authoritative information I have on the point of conversion rate. While traditional text ads no longer appear on the right side, Product Listing Ads (PLAs), also known as Shopping Ads will continue to show there and this feed-based ad format has been a fast-growing segment of AdWords for retailers. It is good for e-commerce advertisers that Google is making shopping ads more prominent by removing the clutter around them. Monitor performance more closely for a few weeks. Changes in AdWords usually cause advertisers to react and that may cause some fluctuations in your positions and other metrics. Our MCC Dashboard and Anomaly Detection Enhanced Script™can help you find anomalies. If you need to improve ad rank, consider doing a Quality Score (QS) optimization.Optmyzr has tools to help with Quality Score and Iâ€™ve also written extensively abouthow QS works. Monitor keywords that may be falling off page 1. Optmyzr has a One-Click Optimization™ that automates this. Update #1 â€“ I was asked to offer more data for the statement that bottom ads have better CTR than sidebar ads. Hereâ€™s a Google post on that topic which I also added to the original blog post.